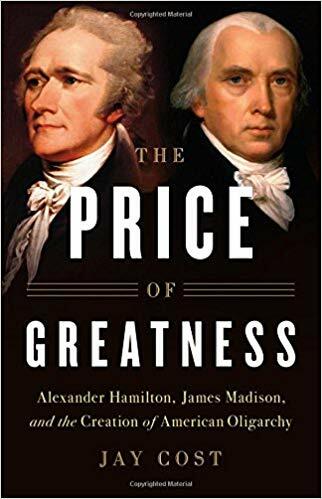 JMC fellow Darren Staloff reviews Jay Cost’s recent book, The Price of Greatness: Alexander Hamilton, James Madison, and the Creation of American Oligarchy. 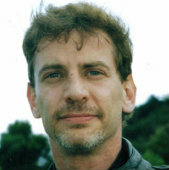 Staloff is a scholar of the American Founding and a professor of history at the City College of New York. In his retirement, Thomas Jefferson confessed his puzzlement at his nemesis Alexander Hamilton. Although a man “of acute understanding” and undoubted integrity in public and private life, Hamilton was nonetheless convinced that “corruption was essential to the government of a nation.” It is this theme of Hamiltonian corruption that is at the core of Jay Cost’s fine new book. Rather than see Hamilton through the prism of Jefferson, however, Cost places him in dialogue with James Madison. This is a brilliant choice, for throughout much of the 1780s Hamilton and Madison forged a powerful political alliance, fighting to strengthen the Confederation in Congress and then struggling to draft and ratify the federal Constitution. Underlying this alliance and friendship was a shared commitment to creating a regime capable of ensuring the national interest, securing individual liberty, and maintaining a republican government grounded in the consent of the electorate. What roiled this collaboration, Cost demonstrates, was a profound difference about the ends that government should pursue. Hamilton’s goal was to promote rapid commercial and industrial development. To this end, he sought to secure the cooperation of the tiny financial elite of the northern seaports by assuring them a comfortable profit, a strategy Cost refers to as “mediation.” Hamilton’s plan was for the federal government to fund the national debt by issuing new bonds and honoring the old ones at face value, and to assume the wartime debts of the states. This would assure the profits of speculators who had purchased the original bonds at a deep discount from their original valuation, and it would also establish the credit of the new government while giving those financiers an interest in supporting it going forward. Allowing these financiers to use those securities to purchase stock in the new Bank of the United States would further ensure them an additional modest profit, while its creation would facilitate the collection of tax revenues, provide the federal government with a reliable source of emergency loans, and dramatically expand the money supply. Hamilton’s ultimate goal was to deploy that newly created capital in industrial projects whose profitability would be ensured by protective tariffs and bounties, a program that he was not able to enact but that would be pursued by subsequent statesmen. To Madison, Hamilton’s entire scheme of mediation was anathema. In Madi­son’s view, government should not favor one sector over another but instead should pursue a “republican balance” that served the interests of all Americans. By favoring the financial sector, Hamilton had created the conditions for corruption. Madison was aghast as he saw financiers who had gone long on state debt descend on Congress to lobby for their interests, effectively holding the entire funding program hostage until they were guaranteed their speculative returns. Nor was he any more sanguine when he witnessed a cadre of moneyed men with inside information from the Treasury Department attempt to corner the market in securities in 1791. Professor Staloff teaches courses in colonial and revolutionary America at the City College of New York. He has published The Making of the American Thinking Class: Intellectuals and Intelligentsia in Puritan Massachusetts (Oxford University Press) and, most recently, Hamilton, Adams, Jefferson: The Politics of Enlightenment and the American Founding (Hill and Wang). He has recorded dozens of audio and video tapes (nationally distributed) on U.S. and world history and major philosophers. He has received many fellowships, including The James Madison Program in American Ideals and Institutions at Princeton University as well as an NEH grant and a post-doctoral fellowship from the Omahundro Institute of Early American History and Culture.